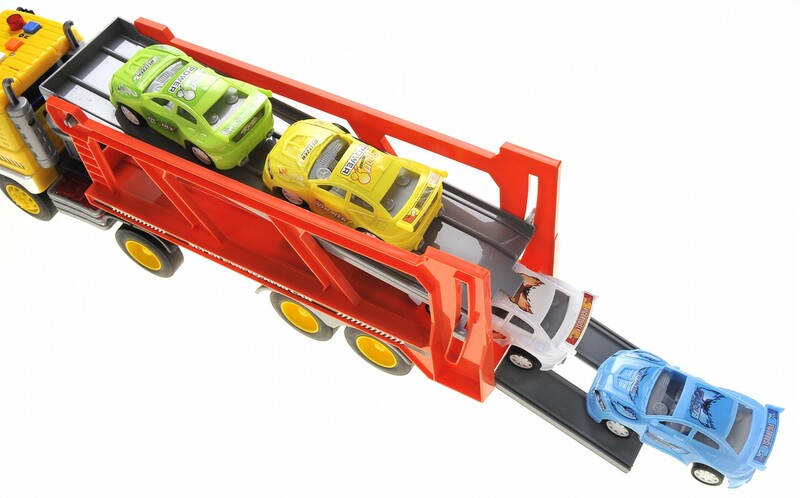 Master Box Dimension : 19" X 13" X 23"
The transport truck is built nicely with four removable vehicles. 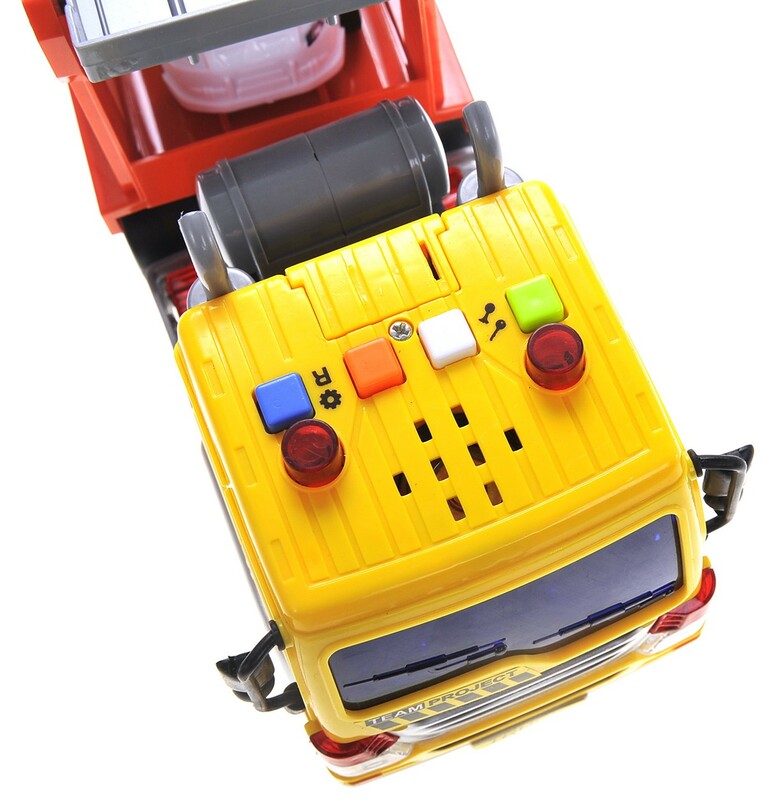 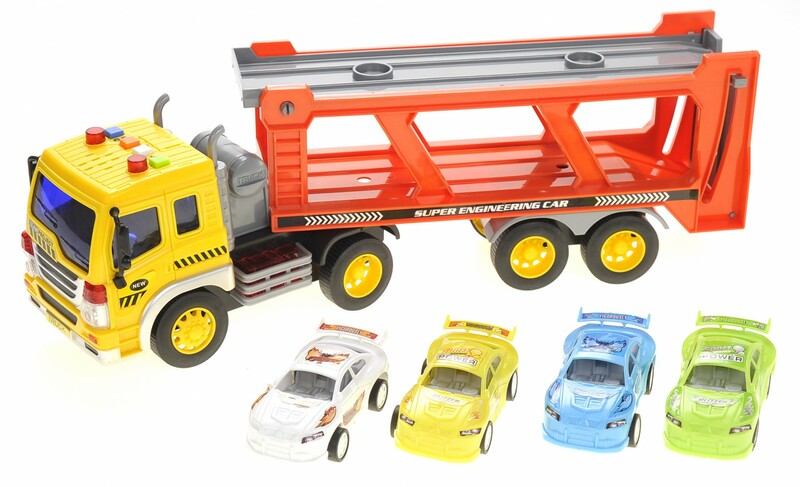 Each and every vehicle is made with Non-Toxic ABS Plastic for safe playing. 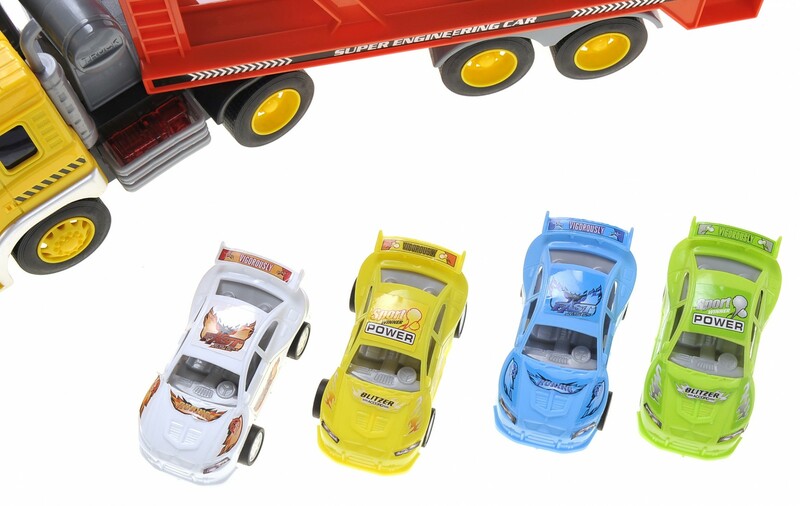 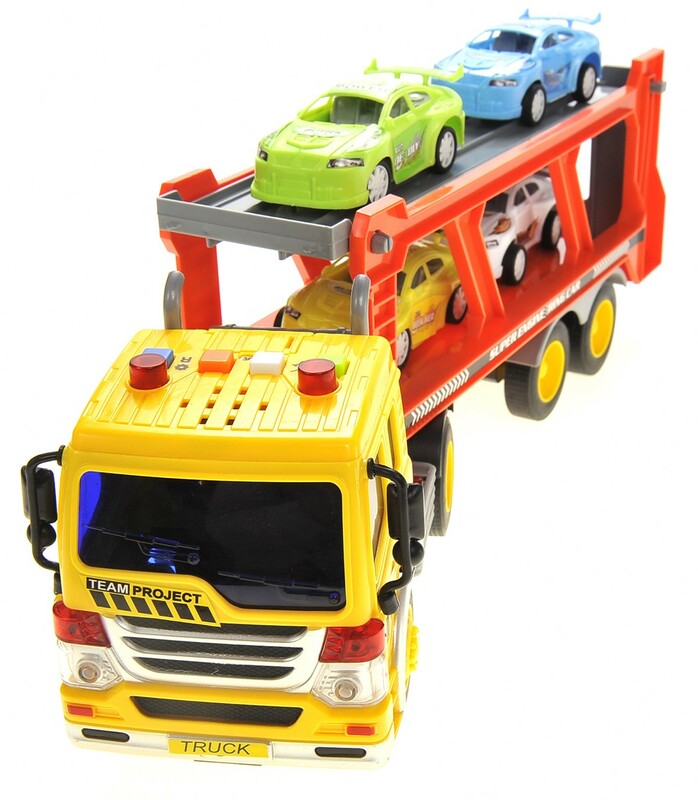 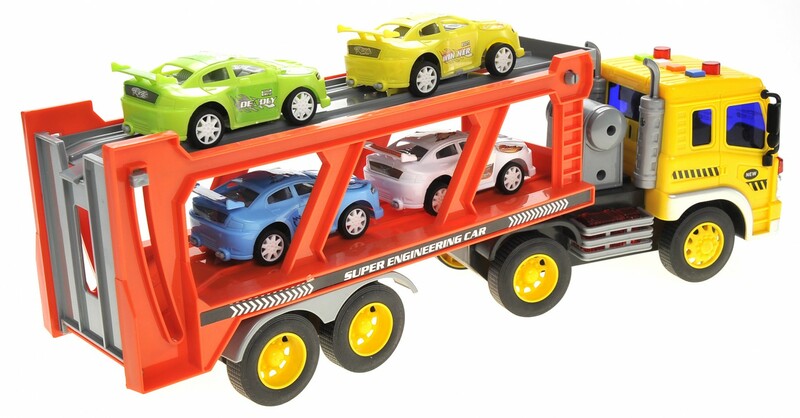 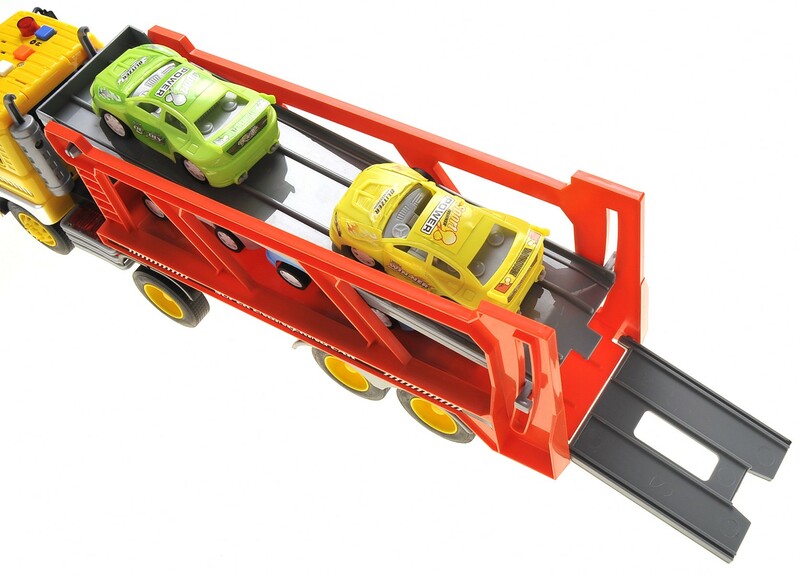 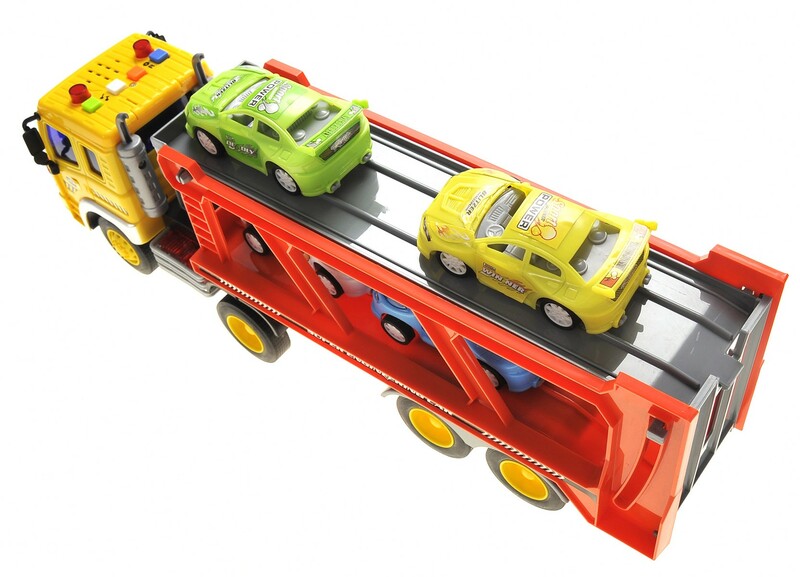 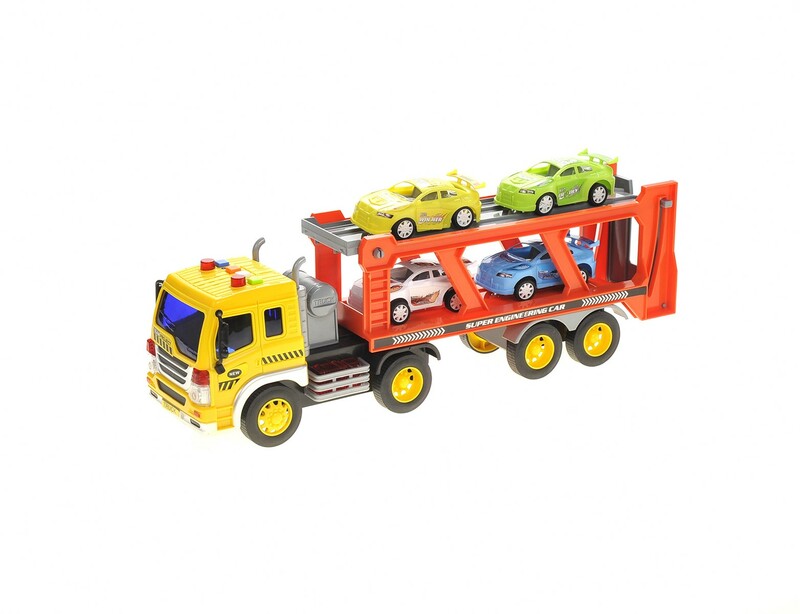 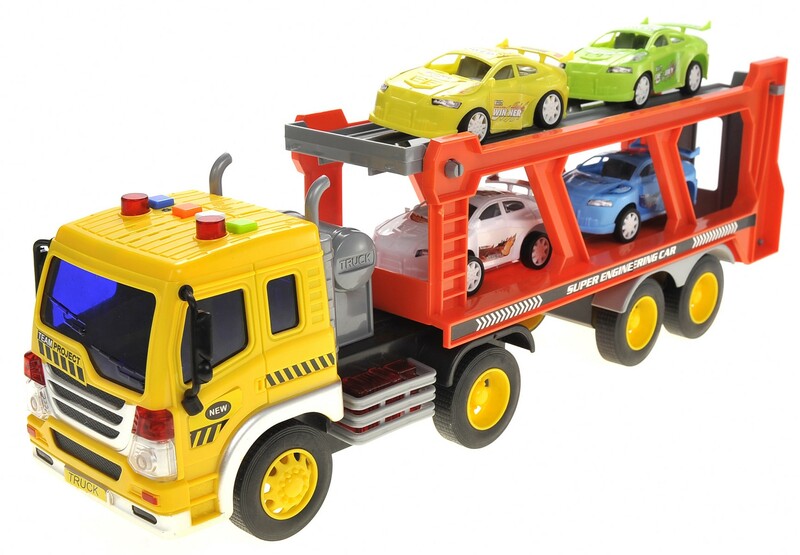 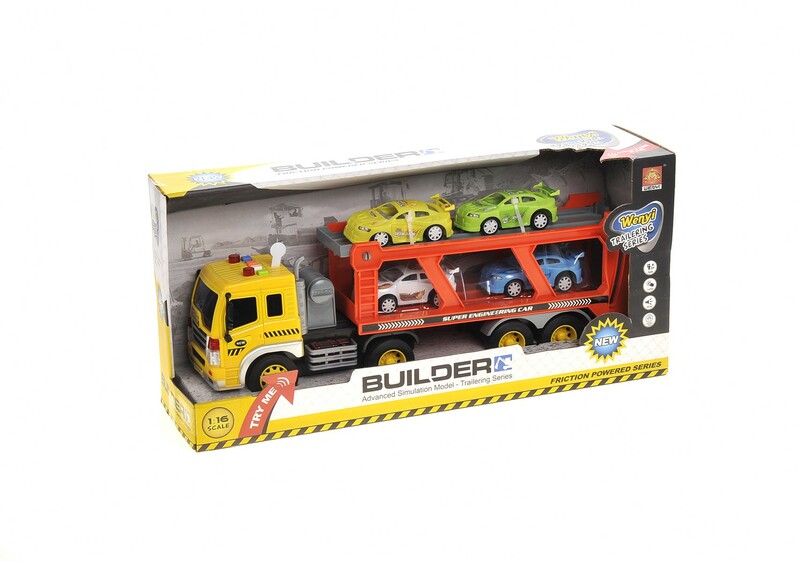 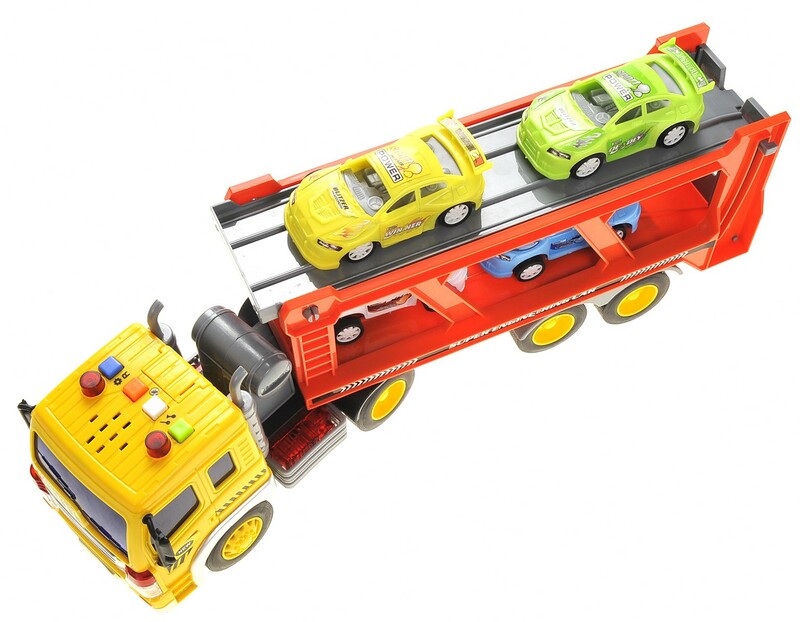 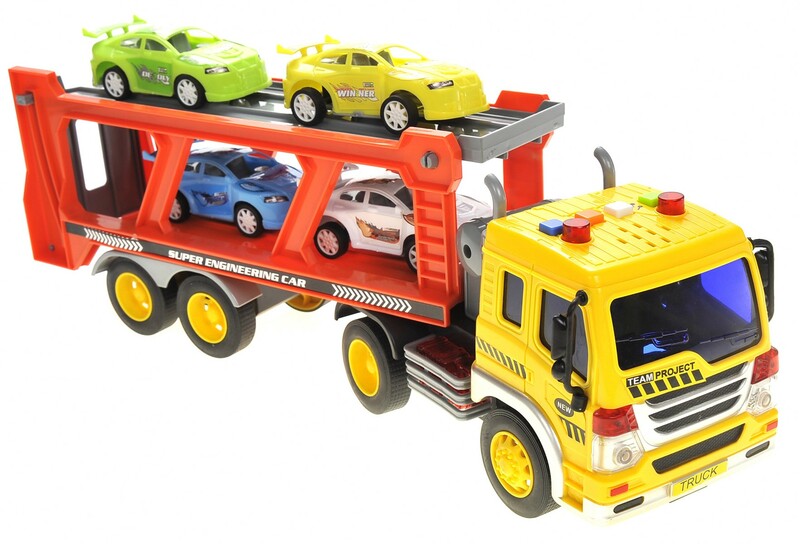 High quality friction powered car transporter is a perfect addition to any child's play set. 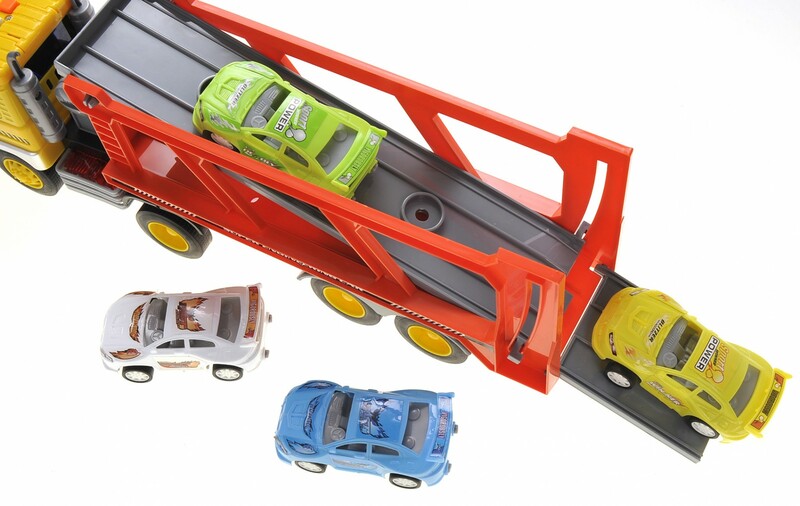 Unload and Load cars for transportation through out their city! 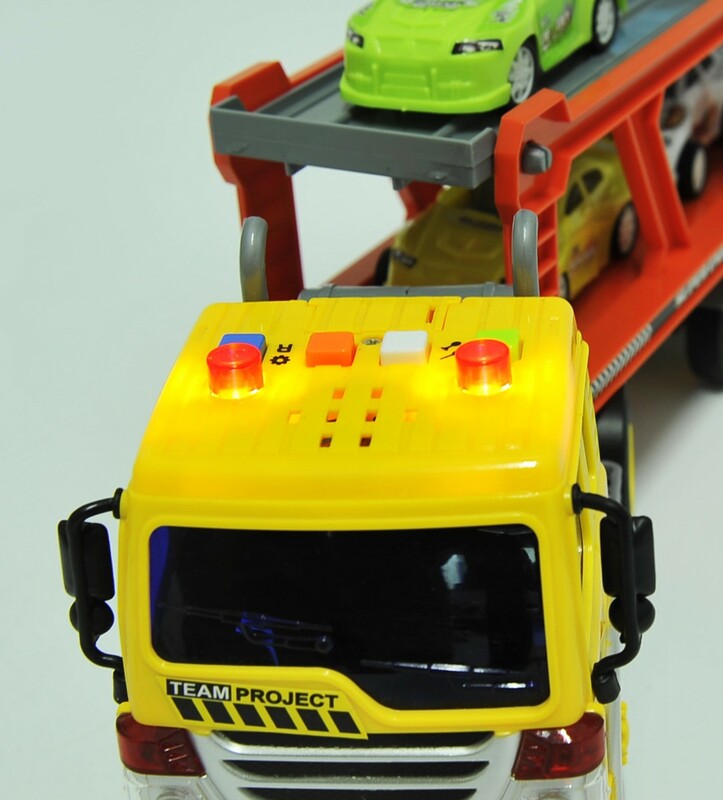 Able to raise or lower tailgate.